ArtTrav: A Blog about Art and Travel (you guessed it) by my wonderful friend Alexandra Korey. She is THE person to follow for updates on the latest exhibitions around Florence. Italy Chronicles: A blog since 2005 by Alex Roe (@newsfromitaly in twitter) who tells it how it is and often covers topics on politics, corruption, among others, on his informative and entertaining website. This will forever be a favorite. TooMuchTuscany is your answer to what’s cool around Tuscany by local Valentina. Alexei Cohen has a lovely website with helpful tips for all over Italy including how to save money in Rome. Check out his post on how to read menus before your next trip to Italy. Curious Appetite: A blog by Coral Sisk, owner of the gourmet bespoke food tours of the same name and food writer for several big name publications. This is where you will see Coral’s true soul come out and it’s deliciously addictive. Brigolante: You might be wandering, what the heck is a vacation rental in Assisi have to do with this? Well Brigolante blog is by Rebecca Winke, a badass mother of two who besides running said apartment rentals, also is an amazing writer about all-things-Italy. Emiko Davies isn’t just a cookbook author, she also ha a vibrant blog where she shares so many food-related gems for those looking for “that other Tuscany.” Her photography is just as stunning as her prose and this girl has never led me wrong. Jul’s Kitchen is a bilingual blog in both Italian and English which is a huge bonus considering her recipes are so delicious, you’ll want to practice your Italian at the same time. This is where Tuscan food finds its true, happy home. Legal Nomads is one of the most popular travel blogs on the web. Jodi is a powerful voice in our industry and I feel very lucky to have met her in person this year in Mexico. She is a life-saver for celiacs who travel (she creates language cards to hand to restaurants) and she has been going through a hard time lately. Check out her FB page to see how you can help. Foodie Flashpacker is the hilarious travel -food based blog by Nathan, a guy I met on a food tour in Morocco and then hung out for bistecca and pasta in Florence. Nathan isn’t just hilarious, he’s also witty and honest. Follow this blog. Ciao Bella is a blog by journalist and writer Erica Firpo who offers a fresh perspective and well-written account of travel in Italy and beyond. MarocMama is a blog on food and travel based from Marrakesh (she also does amazing food tours too!). She offers plenty of tips on family travel and is one of the most authentic, lovely bloggers I know. A Dusty Olive Green is by Birgitte, a Danish photographer based in Le Cure, Florence. She offers a beautiful window into Firenze that you often don’t see. LostinFlorence is run by Nardia Plumridge and features her favorite bespoke spots in the city of Florence. The Fearful Adventurer is one of my favorite blogs ever, by Australian author Torre DeRoche (check out her interview on THIS blog here). She has such a beautiful way of tackling difficult topics (like breakups and genetic depression) in a way that is really relatable. Staialborgo is by Sasha Wang, a good friend and Chinese native living with her husband Fabrizio in the city of Florence. 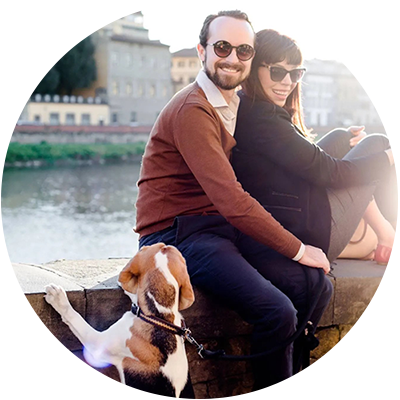 They own a holiday apartment in my favorite neighborhood in Florence and her website is entertaining and informative. 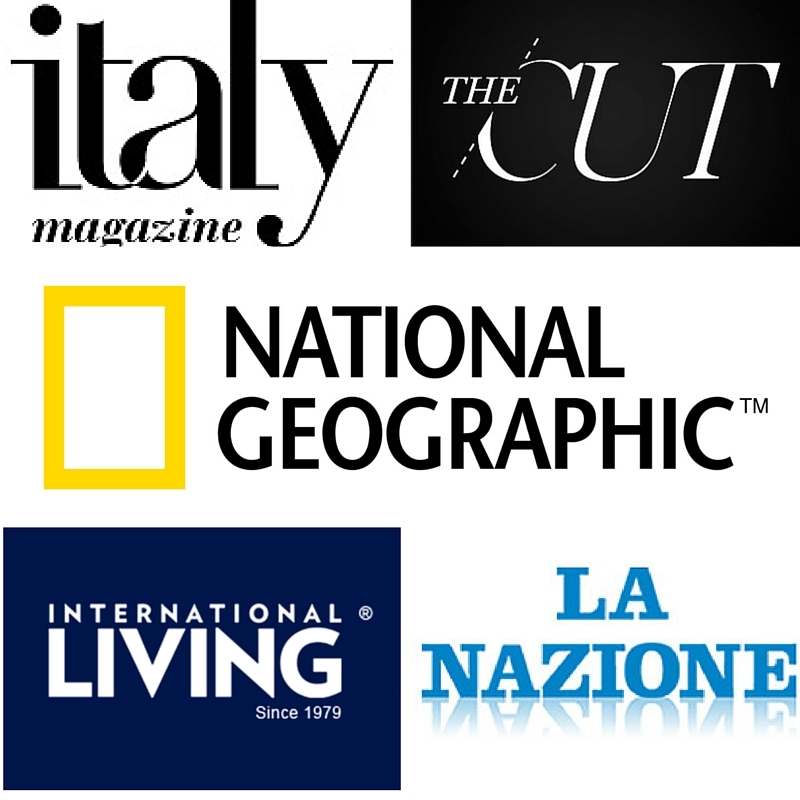 AlidiFirenze is a luxury lifestyle based blog in French on the city of Florence. Alice Cheron is the stylish protagonist behind the brand and she also organized custom wedding proposals (she is the best). I love her website! An American in Rome is the best full-stop website for discovering Rome (my opinion) and I love Natalie’s short but descriptive posts on any number of interesting places in the Eternal City. 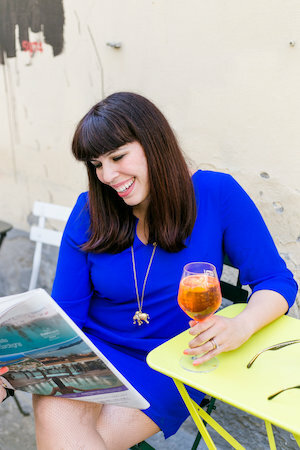 If you are looking for dinner party recipes or interesting restaurant reviews, Elizabeth Minchilli in Rome is your go-to gal. Gillian McGuire in Rome offers her curated lists on any number of places in Italy, but I especially love her advice for the coastal areas of Capri and Ponza. Of course Valentina, Your blog is a wealth of information! Hi! I love your blog and I’ve looked at some of your suggestions before but it appears the links are no longer there/working? Thanks! Hello Morgan, thank you for letting me know about this! I’ll have a look at them now and get them updated. Thanks again! I will have a look at this, thanks for letting me know.. Thanks for letting me know! I’m having some issues with this but I am working to fix it. Thanks for the heads up! You mentioned somewhere on your website an online database of photos you can legally use online? I have been silly and forgotten the URL. Can you remind me? It’s Aunt Suzy. I have a client that is looking for the name and contact information of a restaurant in Florence that makes it own Blue wine When they were there they bought 6 bottles to bring home. They even ordered a few for delivery They have since lost their contact information They said it was somewhere in the hills. Have you heard of such a restaurant? One you may want to add for the Cinque Terre is Amy Inman at cinqueterreinsider.com–she is on top of all the happenings in the area and is also now offering concierge services. Thank you Paola, fab suggestion!